My interest is in aiming to understanding how the human mind and our emotions work and translating that into fashion. Going beyond the concept of an ideal image of the skin, metaphorically representing acne with plastic wrap, tape and paint. We talk to mixed-media artist about her work and her influences for her solo exhibition ‘Enough rope to hang ‘emselves’. Exploring the limits of human relationships through representation of body and its relation to the event of indefinite time, memory, absence and chance. This project enables the wearer to ‘try on’ their gender in a fictional wardrobe full of jewellery items, which embody stereotypically gendered body parts. Illustrations from an Italian artist currently living in Paris. 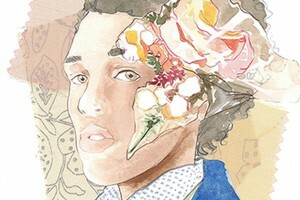 Francesco's focus on fashion includes illustration, painting and photography.